President Petro Poroshenko has stated that lawyers of oligarch Ihor Kolomoisky will not be able to return PrivatBank to its former owners. "Lawyers of Kolomoisky are working on the denationalization of PrivatBank so that to return it to its former owners. This may cause a crisis of the banking system. 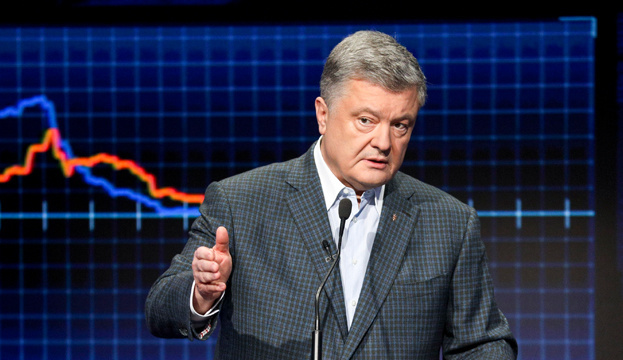 The nationalization of PrivatBank was one of the key issues in our cooperation with the IMF," Poroshenko said during the Svoboda Slova talk show on Monday evening, an Ukrinform correspondent reported. He stressed that the decision on nationalization was fair, and the return of PrivatBank to its former owners would affect 20 million depositors of the bank.